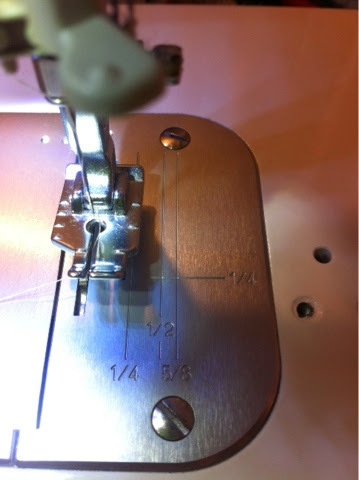 I recently ordered a new Needle Plate for my Brother PQ1500 machine... It arrived today! I am so happy to now have the needle plate in Imperial measurements instead of Metric! I ordered it from Sewing Parts Online in Dickson TN. USA - very happy with the service and price! The goods were very well packed and the postage costs were very good. I also bought more of the aluminium bobbins for this machine - love them!! My machine has never sewn so well.